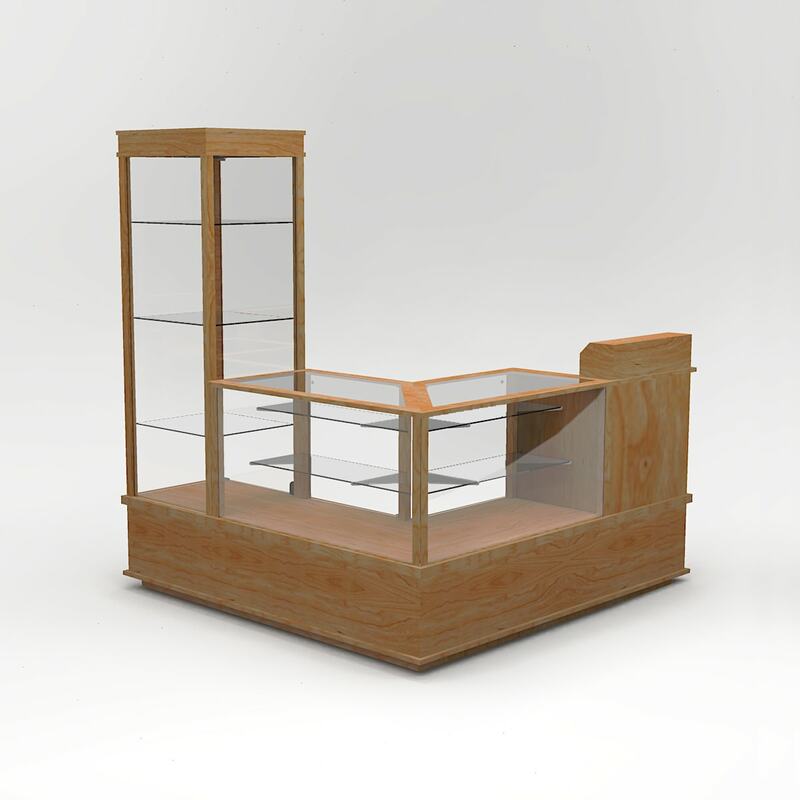 This versatile fixture displays product on all sides while providing a location to layout product brochures or actual product to discuss with your customers. 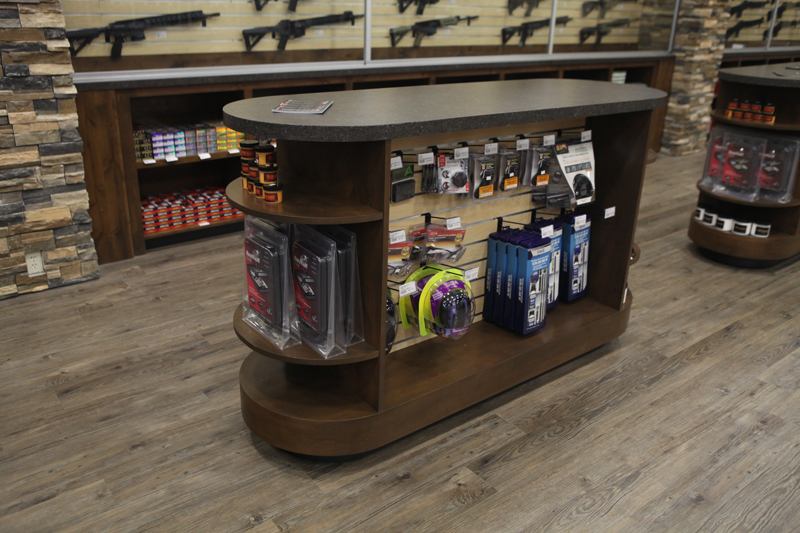 It is a comfortable location to meet with your customer to discuss their needs and what they are looking for in a gun or accessories. 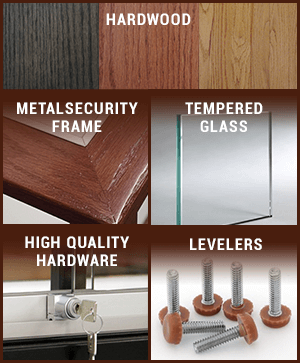 Below are the specifications on the display table shown above. If the size or configuration doesn’t fit your needs let us know and we can modify it to fit your needs. 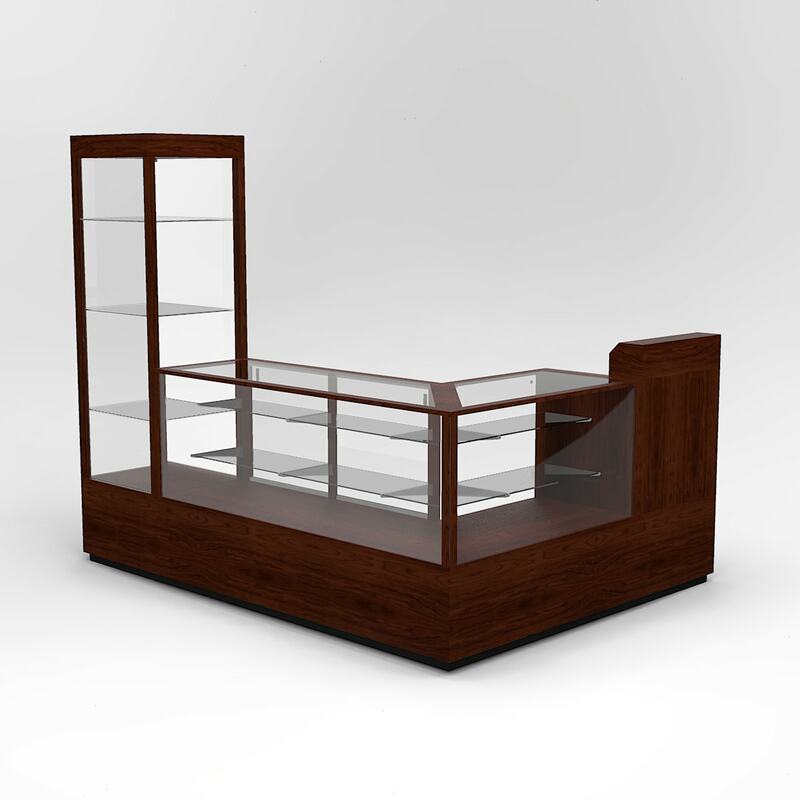 The display fixture has two shelves on each end. 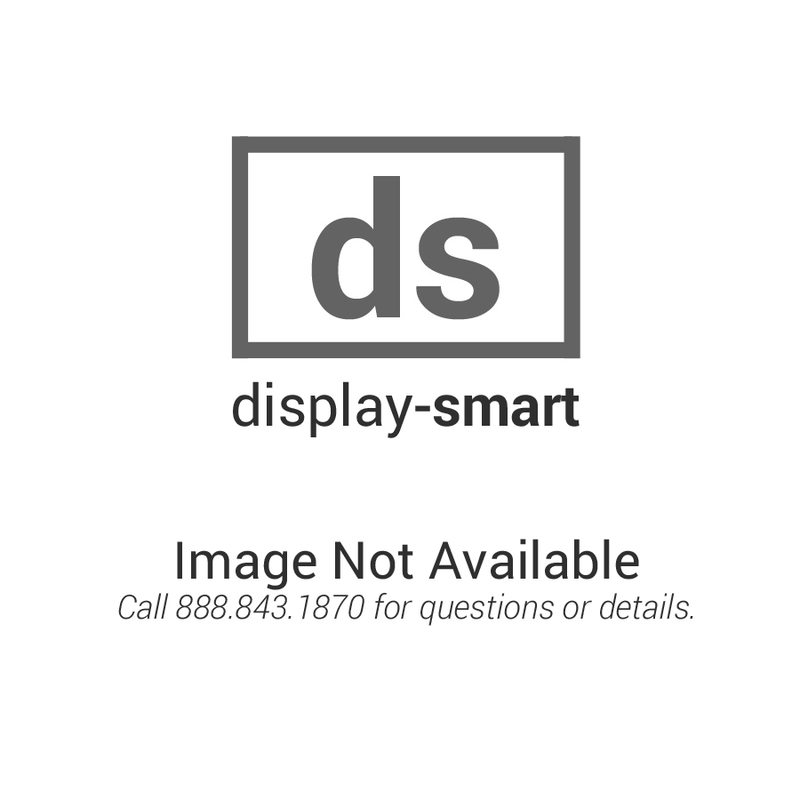 The slatwall is a melamine with aluminum inserts. The fixture is made of hardwood veneer and hardwood, The top is covered with High Pressure Laminate for long lasting durability. . 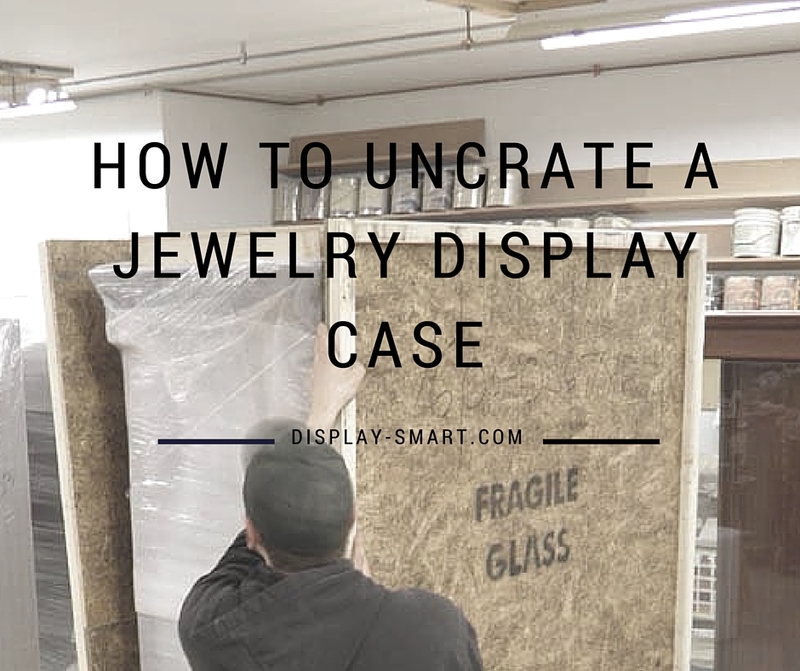 If you have a need for a custom gun display case or store fixture please give us a call at 800.843.1870 or email us at display@display-smart.com to talk to our senior designer. 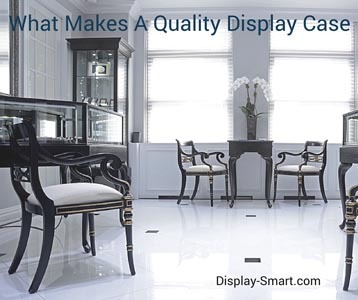 We have over 40 years experience in the retail display industry and understand how to build displays that are customer and store clerk friendly. We have many satisfied clients. Check out our Customer Reviews page and then give us a call. 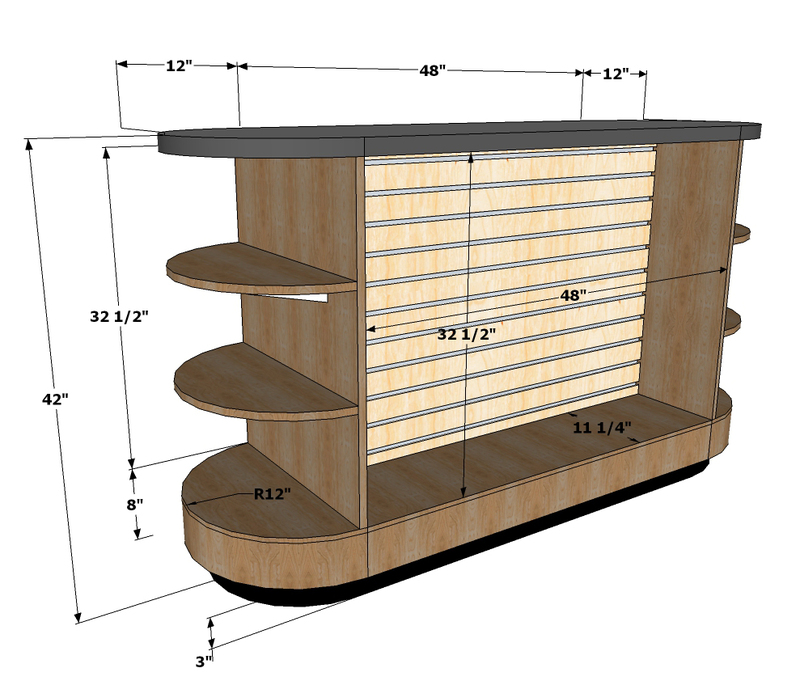 We look forward to working with you and making it easy to purchase the displays you want at an economical price.